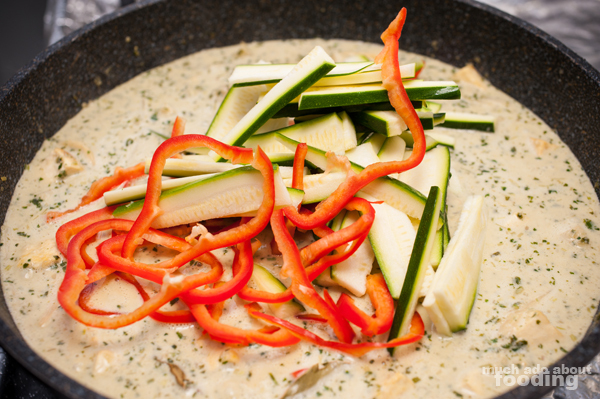 I have been meaning to try and cook Thai curry for a while now, mainly because it's such a comfort food for me that I figured I should at least learn how to make it. 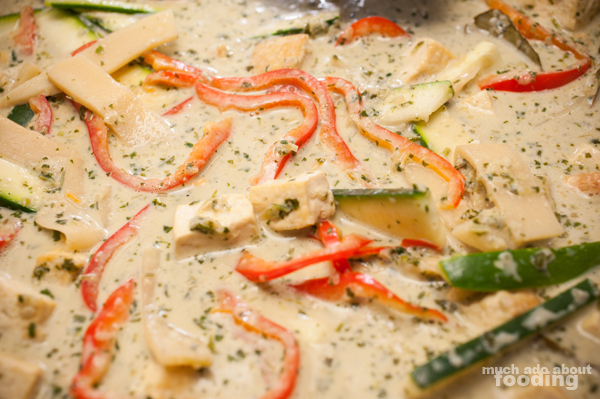 When browsing online for recipes, I noticed that many people tended to use the green curry paste instead of making their own. Ever the curious one, I decided I would make (just about) everything from scratch instead of resorting to a tin can that was packaged whoever knows how long ago. It turned out deliciously well - I'll need to make it again! Authentic recipes call for kaffir lime leaves but since I couldn't find any in my area, I replaced with lime juice, lime zest, and bay leaves. The one mistake I made while making the paste was not pulsing it into a smooth enough paste. That's not to say it wasn't delicious; it's just to say that the texture wasn't as smooth as desired. To fix this, make sure you use a great food processor/blender! The lemongrass is the toughest to grind down. The paste requires a lot of prepwork - mince lemongrass, mince chiles (be careful of the heat! ), chop onions, peel & halve garlic, slice ginger, zest a lime, chop cilantro, and chop basil. 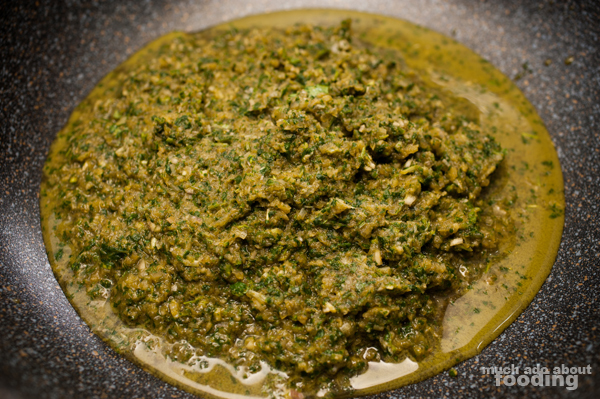 Add all paste ingredients in a food processor/blender and pulse until a smooth paste. 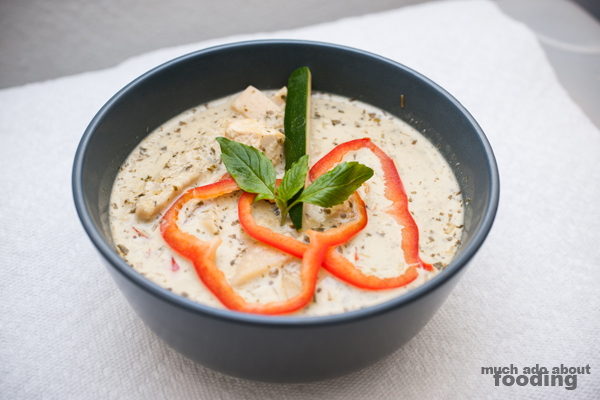 The coconut milk is to help everything blend better. Fun fact: did you know that though recipes may call for you to use coriander leaves, that's actually the correct name for cilantro? So, use cilantro and don't fret about running to find some obscure plant! Place paste into large skillet or pot, add a little oil on medium heat, and stir for about 2 minutes as paste becomes more fragrant. This recipe is nearly vegetarian save for the fish sauce. I decided to make it with tofu instead of chicken since we're trying to eat healthier at home. 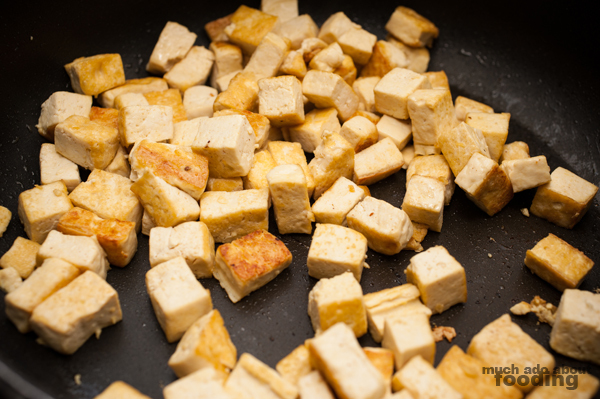 Chop tofu blocks into 1-inch or smaller cubes and pan-fry on a large skillet briefly until sides are slightly golden. 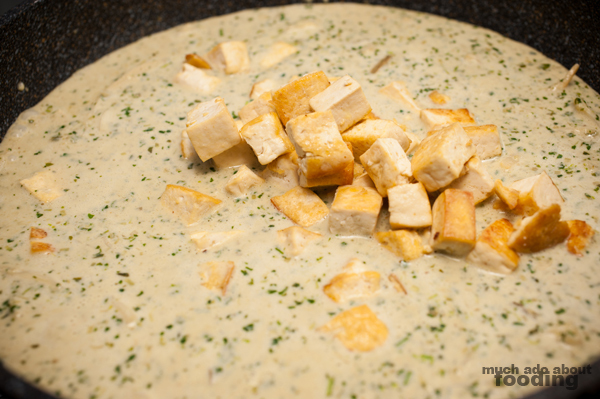 This will prevent tofu from being too squishy when added to the curry. Zest another lime. For bamboo, slice into strips. Red bell pepper and zucchini can be thinly sliced. 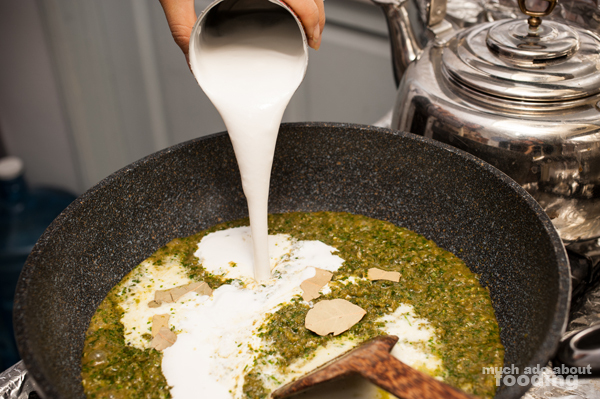 Add bay leaves and coconut milk into skillet/pot of paste. Stir frequently for a few minutes before adding in tofu. Stir in vegetables, zest, and lime juice. Stir frequently. Bring to a simmer before taking off heat and serving. We had ours with rice! Enjoy!